Pete Carroll On Junior Seau's Life After Football: "He Wanted To Play Forever"
Every morning, the fine folks at Sports Radio Interviews sift through the a.m. drive-time chatter to bring you the best interviews with coaches, players, and personalities across the sports landscape. Today: Junior Seau, according to another member of the USC fraternity. 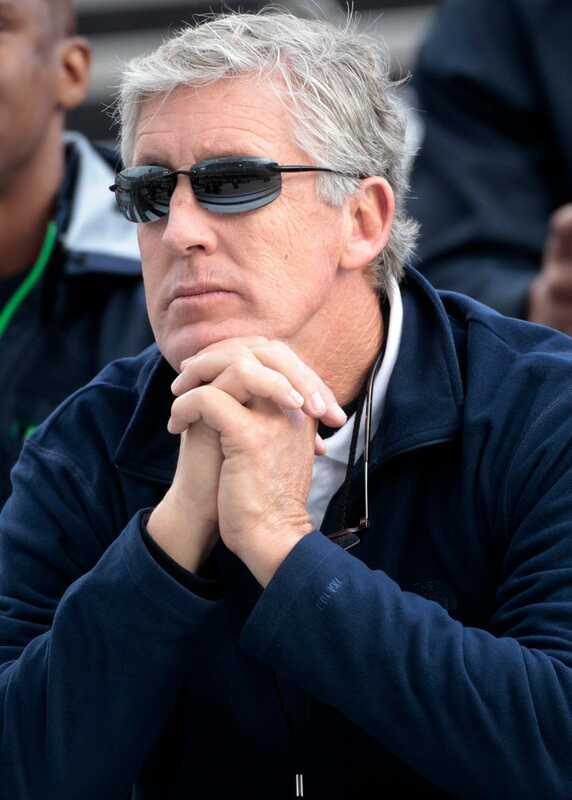 Pete Carroll joined J.T. The Brick on Fox Sports Radio to discuss Junior Seau's tragic death, to reflect on Seau as a person and a player, to discuss the tough transition from athlete to retiree and to touch on the brain trauma link that has been a hot topic in light of Seau's decision to take his own life. "The spirit of Junior was so—as you know—it was so extraordinarily huge. He reached and touched and affected so many people that it was just almost like he was bigger than life and we just can't believe that this happened. So we were all in shock and kinda of reeling about it all day long." "Like I said, he was almost bigger than life. He was almost like a superhero type of kid. And at SC he had had such a reputation as such a great person and a great player and he just carried that on. I heard Tedy Bruschi talking about him in his final years playing and Tedy was affected in an enormous way by his spirit of having fun and loving the game and working so hard. That was who he was long, long ago. And I'm sure he grew up that way and brought it to USC and made the most of his time there and then took it on to the league and did so many cool things. All the way from the start to the final games that he played at New England, and finishing up, he was just such a stud. So everybody's gonna miss him. His spirit will live on and his '55′ and the whole thing. There's so much of it - it's amazing." "Hopefully we learn from this. This is a terrible tragedy that I know our players need to come to understand in some way the impact of leaving the game, and how life goes on and it isn't the same. And our guys have to find a way to move on and leave it. And I don't know what happened here at the end but it did hit Junior really hard. He wanted to play forever, and it just isn't the case. So getting ready for that is more significant than people think and it's more difficult being a player of the magnitude and scope that he lived by. These guys need care, and they need consideration and help because it's such a difficult transition and nobody's ready for it. And nobody wants it to happen. And it can really take away a whole reality for some of the guys, and we need to help them as much as we can." "To tie this to the bounty thing is crazy, but the Dave Duerson thing is real. And David - that's an interesting thing that we have to delve into and understand better. And we're working at it. The league is working at it - they're just trying to figure it out. They are at the cutting edge of understanding all of the issues about the injuries and brain trauma, all of that. But there's still a long ways to go, and for the most part, we just have to continue to love these guys and take care of them and look out after them long after they finish playing." • Mayweather-Cotto could go either way. • Ty Lawson says the Nuggets can beat the Lakers. • Scott Pioli responds to the question of whether the Chiefs tried to trade for Dwayne Bowe.